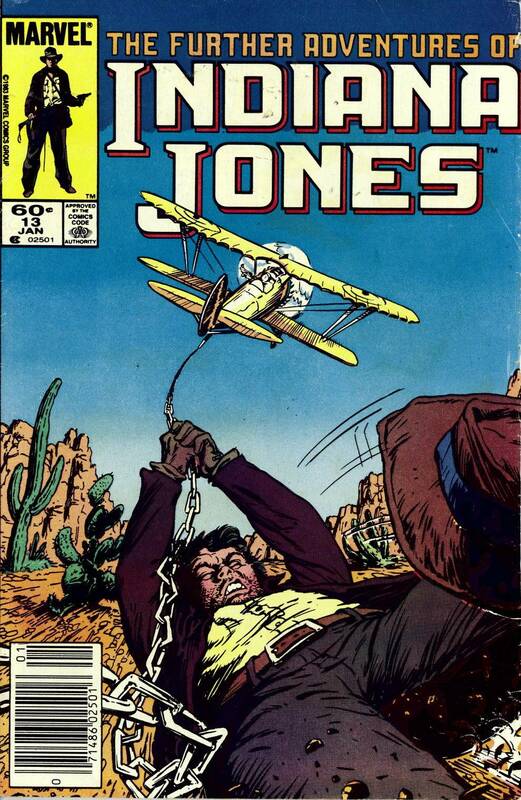 Welcome back, today we look at Marvel's short-lived Indiana Jones series, featuring another appearance by Assistant Editor Eliot R. Brown. "I could not interject myself into an Indiana Jones Adventure or a Star Wars episode. Even comics has rules about time, space and realities... well, you know! It was probably Louise Jones, an unsung genius of comic craft-- who was also my boss at the time, who suggested I tell an associated story. 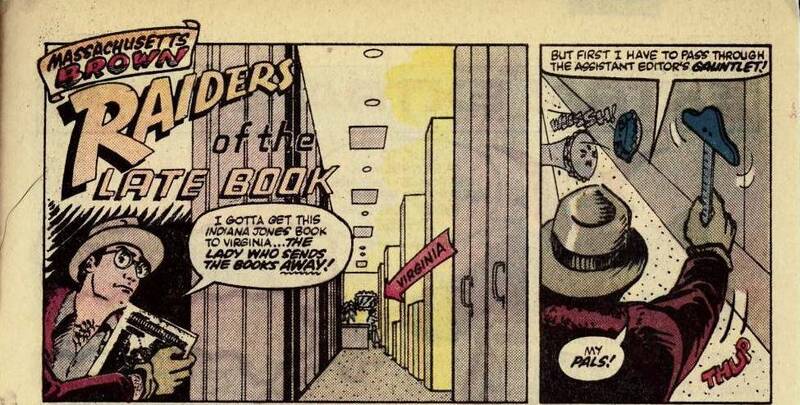 And that worked out very well for Indy, Star Wars and even the X-Men-- which was right in the middle of some galactic space opera"
So, just like AEM's Star Wars issue, Brown shows up at the end in a one-page story titled Massachusetts Brown:Raiders Of The Late Book. It was written by Brown with art by Brown and Mike Carlin. Brown is trying to deliver the new issue of Indiana Jones to Virginia Romita, Marvel's long-time Traffic Manager (and also wife and mother of John Romita Sr. and Jr., respectively). His fellow Assistant Editors are preventing him from getting the book to her on time by throwing pies at Brown! 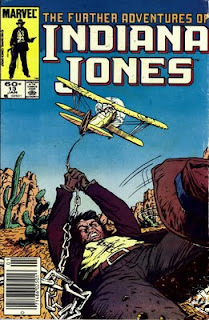 Instead of Indy's whip, he only has a T-square to defend himself. Brown is already running late and wants to make a good impression while the regular Editor is away. 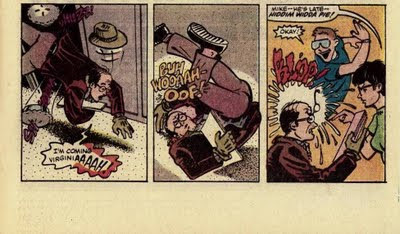 He's almost arrived a Virginia's desk, when suddenly, he trips over a pie! Brown is officially late! Virginia orders Mike Carlin to "Hiddim Widda Pie!" 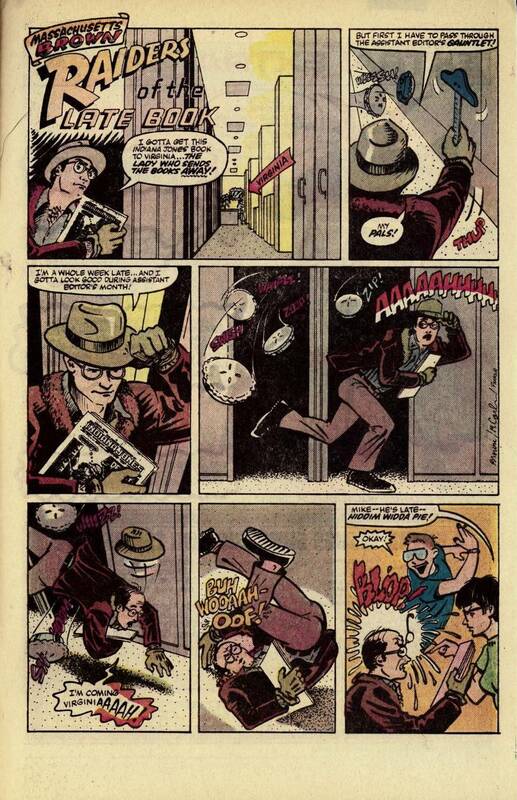 That ends another installment of AEM Online, I want to thank Eliot R. Brown for writing me about this issue, and thanks to him and Mike Carlin for a nice little Indy parody!